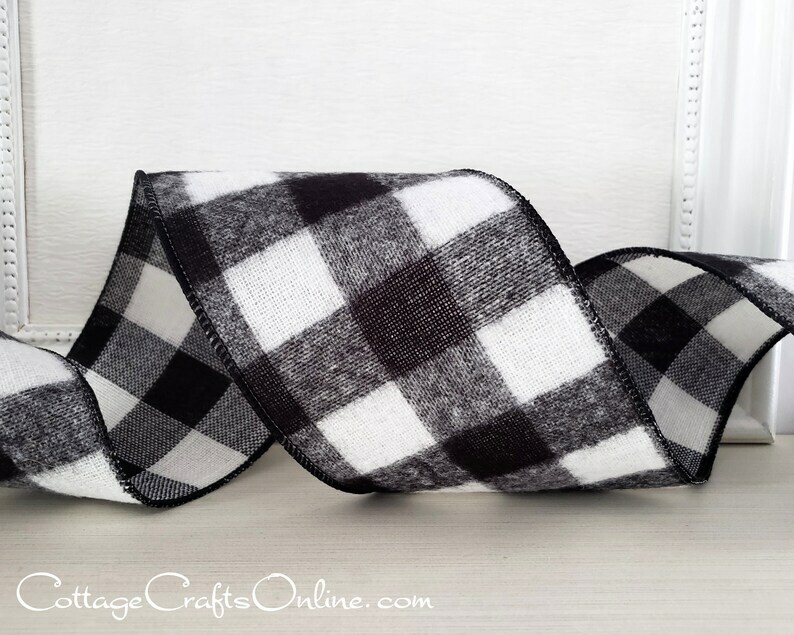 Bold black and white buffalo check plaid, 4" wide, fuzzy faced ribbon, with a wired edge covered with black thread. Brushed flannel face is on one side of the ribbon. PLEASE NOTE: The ribbon fabric is cut from a wider bolt and your roll may not match the picture in exact placement of the check. I love this flannel buffalo check ribbon! I have a 7.5’ fluffy Christmas tree & one roll decorated my tree. I cut it into 4 strips so it doesn’t go all the way around the tree but no one sees the back anyway. Always 100% satisfied. Super fast shipping.